"Sutherland. 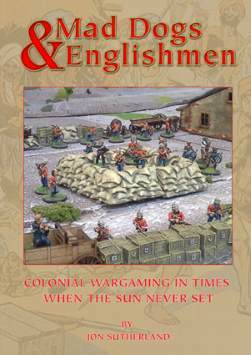 Jon Glossy Colonial rules- 50 to 400 figures a side. Based on the set used in the Wargames Holidays he and Diane (writer of the terrain buiding articles in MINIATURE WARGAMES) ran in Crete to the joy of over 100 groups from all over the world. Army lists inc Africa, India and America"